Did we mention it's also a ute? 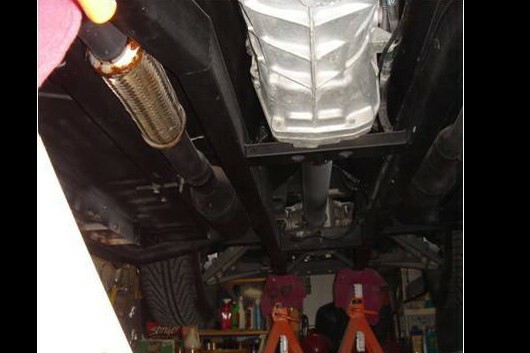 In a listing that is unfortunately no longer on eBay at the time of this writing, an unsuspectingly exciting Chrysler PT Cruiser surfaced for sale. Chrysler’s weird-looking and strangely popular Dodge Neon-based hatchback of the 2000s wasn’t known for its performance, although the turbocharged GT models were actually pretty quick. But you know what’s even better than a 230 horsepower turbo-four? A 450 hp V-10, which is what lies under the hood of the PT Cruiser in question. 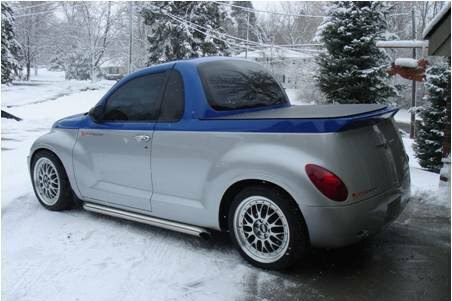 From what we’ve gathered, this muscle car...truck...thing was built in 2000, the first production year for the PT Cruiser. A 2000 Dodge Viper would have been a second-gen model with the 8.0-liter V-10 and that’s the engine that appears to be powering this PT Cruiser. It looks like it also shares the Viper’s BorgWarner T56 six-speed manual transmission, steering rack, and rear suspension. Thankfully, a rear-wheel-drive conversion happens to send all of that power to the rear wheels. 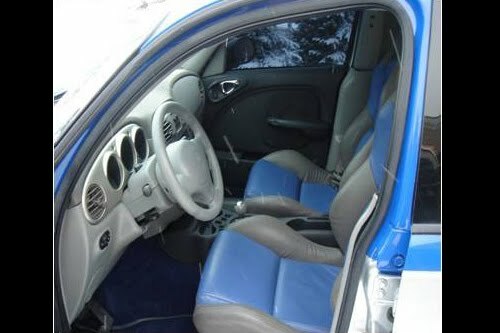 Imagine the torque steer in a 450 hp FWD PT Cruiser. But the weirdness is far from over. 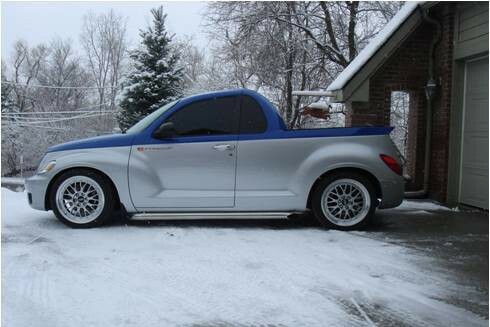 This thing has also been converted from a hatchback into a two-seater pickup truck. This body conversion actually looks surprisingly clean with a sort of bubble rear windshield and a bed with a tonneau cover. Other aesthetic modifications include a blue and silver two-tone paint job, a different front fascia, BBS wheels, and in classic Viper fashion, side pipes for the exhaust. Watch your legs when you’re getting out. According to TopSpeed, the bidding went as high as $13,100 on eBay, but sadly, we don’t know if it sold or if it never met its reserve. 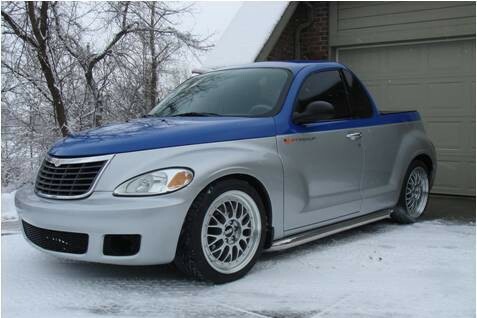 $13,100 is an expensive PT Cruiser, but a screaming bargain for anything powered by a Viper’s V-10. Yes—even a cutesy econocar. If the Spice Girls can make a comeback, then there is absolutely nothing stopping the PT Cruiser.